The National Science and Research delegation celebrated a great achievement after the ASH (Automated Smart House) team won the gold medal during their participation in the 10th International Invention Exhibition in Foshan, China, this month. More than 60 countries sent delegates and more than 4,300 inventions were submitted. 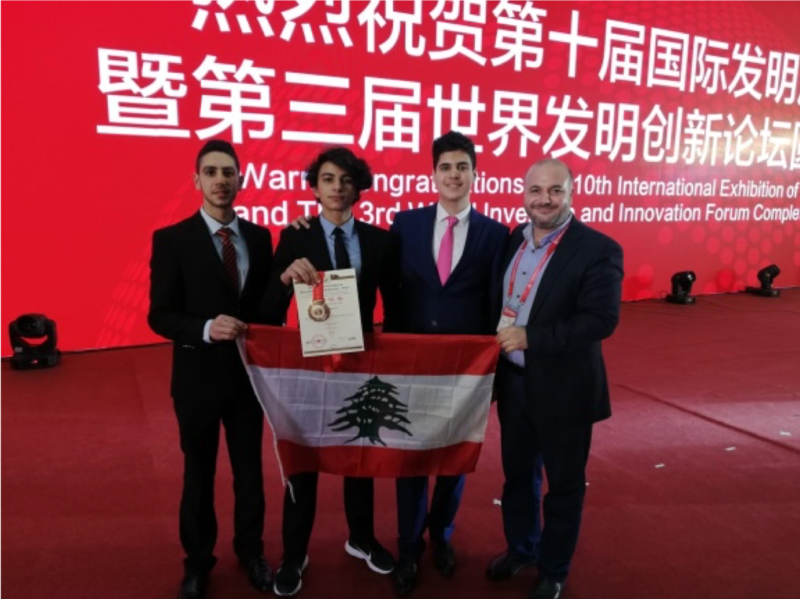 UCA students Karem Bou Ghannam, Luay Al Aridy and Liwaa Al Kontar won first place in Lebanon for their project ASH in the Technology Invention. A large number of interested investors visited the Lebanese pavilion including the President of the University of California for Science and Technology, the President of the International Federation of Inventors Associations, a number of heads of international delegations and representatives of companies and factories. The three students will be heading to Germany to take part in a series of international exhibitions that aim to showcase the innovations of Lebanese youth and introduce them to the global innovation environment. We will be discussing their achievements in depth in a special newsletter next month. Mabrouk to our students and we look forward to your future success!